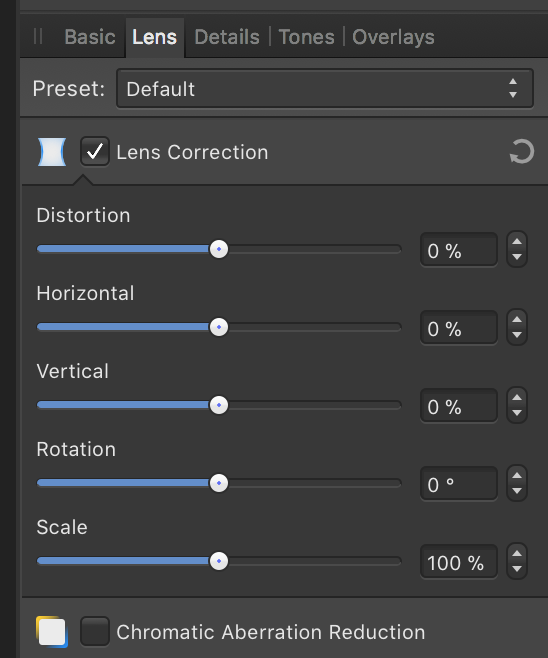 I miss option to move/shift image in lens correction options of develop persona. When I fix rotation and vertical or horizontal distortions, I want to scale image up as less as possible to remove empty areas caused by corrections. And when I scale the image, it can't be moved relative to canvas. Something like shift-x, shift-y would be nice to have.